The Kia Sportage is one incredible vehicle. This model goes above and beyond when it comes to performance, capability, interior space, and advanced technology. With so much to love about this model, there’s a lot to learn about it before you get inside for a test drive. 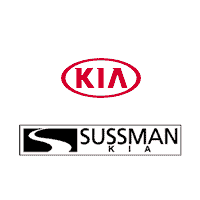 On this page, we at Sussman Kia will help you do exactly that by providing you with all kinds of helpful resources inside this Kia Sportage resource library. Shoppers in the areas of Jenkintown, Rydal, and Glenside should read head to learn more about our Kia Sportage resources! The Kia Sportage offers a wide variety of advanced features including performance features, entertainment and convenience technologies, advanced safety systems, and much more. Inside our Kia Sportage reviews, you’ll learn all about these features and how they’ll help the Kia Sportage fit into your unique lifestyle. Whether you’re using the Kia Sportage for carting the kids around, your weekly road trips to the shore, or back and forth to work, you’ll see what the Kia Sportage can do for you inside our Kia Sportage reviews. The Kia Sportage offers several trim levels in each of its model years. Each trim level is designed with a specific and unique lineup of features which makes it easy to customize the Kia Sportage to fit your exact needs. One trim level may be a better fit for you than another, and that’s why we’ve created our Kia Sportage trim level guides. In these guides, you’ll get a detailed breakdown of what each one has to offer so you can pick the one that best fits your needs. Another helpful way to research the capabilities of the Kia Sportage is to see how it stacks up against similar models. That’s exactly what we do inside our Kia Sportage model comparisons. As you’re reading through one of our comparisons, you’ll see the key differences that set the Kia Sportage apart from other models in its class. This will help you make the most informed decision about your next SUV. After reading through our comparisons, you’ll feel confident about choosing the Kia Sportage. Test Drive the Kia Sportage! Now that you’ve done all of your Kia Sportage research using our many helpful resources, it’s time to get behind the wheel and experience it for yourself. The only way to conform that this is the model for you is to get out on the road and see what it’s like. 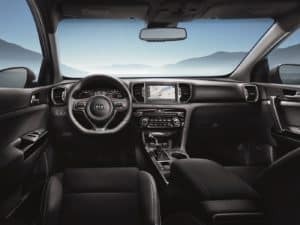 Shoppers in the areas of Jenkintown, Rydal, and Glenside can schedule a test drive in the Kia Sportage today by giving us a call at Sussman Kia!